Maricida is a beautiful Filly sired by our very own Dartañan ADF. Her Dam, Preciosa HGA, is proven to produce stunning movers with upper level dressage potential, and Maricida is no exception! 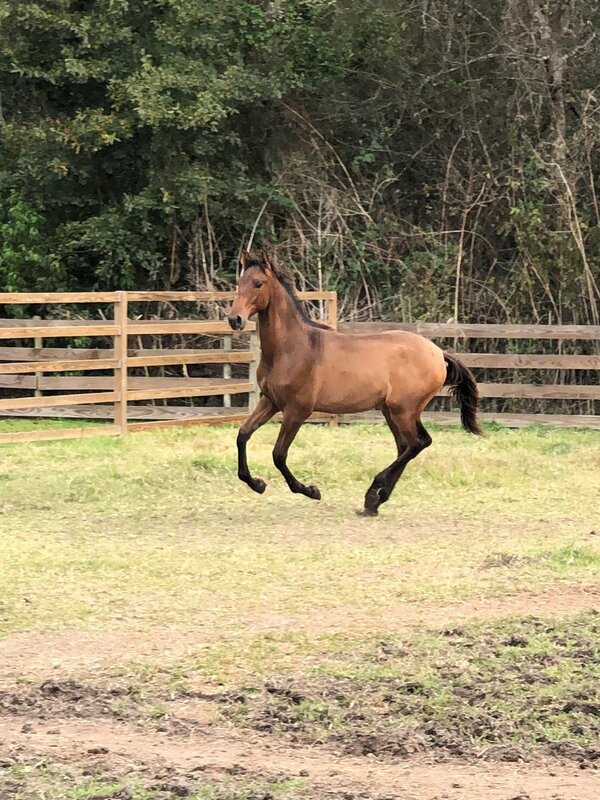 Already tall and leggy, this Filly is playful and kind.